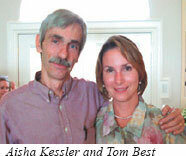 About Lisa "Aisha" Kessler, C.Ht. I discovered self-hypnosis when I was just a child. When I was 6 years old I found that I could make my stomach aches go away by imagining that they were getting smaller and smaller. I am a certified hypnotherapist who has been in practice for 12 years. I have a B.A. in English Literature from the University of Texas. I love using language and story telling to help people change their thoughts and behaviors. Before founding Wellspring Hypnosis LLC, I co-founded the Bodhi Yoga and Massage Center in Austin. I also worked worked in the nonprofit sector for several years, providing job counseling and career training to a wide array of low-income individuals. My passion for people and my belief in the healing power of compassionate human interaction allows me to build a strong rapport with my clients. This rapport allows me to provide proper guidance and support during the transformational journey to wellness or self-enhancement. For the last 13 years I have focused on self-hypnosis as my primary healing tool. I assist clients with a wide range of issues, from self-confidence, smoking, weight loss, and wealth, to public speaking, dating and even running the Boston Marathon! My practice consists of over 50% referrals from satisfied customers and many referrals from physicians and therapists. I have been a frequent guest authority on local radio and TV news programs like KTBC Fox News 8 and KKMJ-FM, promoting the benefits and uses of hypnosis. Wellspring Hypnosis® is a registered U.S. Trademark. I feel called to volunteer in the community and at the present time, I am a Hospice Austin volunteer. I hold two national certifications in hypnotherapy, and I am a faculty member of the National Guild of Hypnotists (NGH). Professional membership in the NGH signifies that an individual possesses specific qualifications and agrees to abide by a strict code of ethics. I am also certified by the American Board of Hypnotherapy (ABH), and is a certified Practitioner of Neurolinguistic Programming (NLP). I graduated with honors from the University of Texas with a BA in English Literature. I have been on the faculty of the University of Texas Informal Classes, teaching hypnosis courses. I have been blessed with many outstanding teachers and mentors. I am grateful to all of them. I would not be who I am today without these extraordinary teachers. Here are a few. I have attended 200 hours of Ericksonian trance workshop intensives with world-renown psychologist, Stephen Gilligan, Ph.D. Dr. Gilligan learned hypnosis from the amazing Dr. Milton Erickson who is considered the best hypnotist of the last century. Dr. Gilligan has developed his own highly innovative hypnosis therapies. 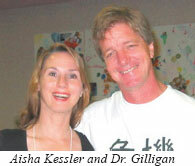 He shares his wisdom in workshops around the world, Stephen Gilligan has a clinical practice in Encinitas, California. I had the privilege to study Neurolinguistic Programming with the late, great Tom Best, who just passed on in 2012. Tom Best was one of the most talented teachers in the field of NLP. He was able to weave in spiritual wisdom which made his trainings a deep, soulful, transformative experience. He was a wizard. I am certified as an NLP Practitioner with 200 hours of training. My first job after college was as a trainer/counselor with a non-profit organization. I helped underpriveleged people learn computer skills and gain the self-confidence to get off of public assistance and secure good jobs. I was lucky to be able to run the training center, design the curriculum and write the grants. I enjoyed helping people improve so much that I went on to pursue a professional career as an educator and trainer working for AISD, Seton Medical Center, Austin Diagnostic Clinic and 3M for many years. In 1995, my love of healing, teaching, and community service inspired me to open the Bodhi Yoga & Holistic Healing Center, which I operated until 1999. I make my home in beautiful Austin, Texas. In my free time, I enjoy writing, crafts and organic gardening. Sign up for the Wellspring Hypnosis E-mail Newsletter in the sidebar. You can unsubscribe at any. Your e-mail will be kept private. And you will receive occasional free hypnosis mp3s! AISHA LISA KESSLER, BA C.HT. Dharma Yoga Certified Instructor, 300 hrs.